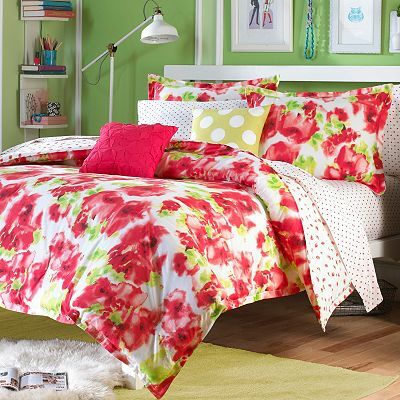 This Painted Poppy Reversible Bedding Collection adds an unexpected touch to any room ensemble. Features a vibrant watercolor poppy print. $59.99-$199.99 Sale $29.99-$99.99. Buy here.